Good news Happy Meal fans, McDonalds Philippines got Smurfs for their latest toys. This set is different from the US release. I haven't got one yet but I'm sure these toys are great. 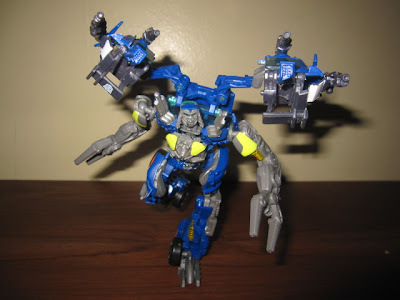 Here is nice shot of Topspin, one of the wreckers. A new character from the movie Transformers 3 Dark of the Moon. I like the pose of Topspin, it seems that he is going to attack a Decepticon with his heavily armed back-pack. This picture is a classic. We don't see an Autobot riding a motorcycle everyday, and the fact that these are two Wreckgars makes me envious to the owner. I'm planning to get this figure, but as of now this is not a priority. I hope that when the time comes that I have the purchasing power to buy this, they are still available. This picture looks menacing. A black version of Megatron makes him more evil looking. The touch of violet reminds mo of Hasbro Seismosaurus, I don't know why. Megatron's pose adds more "angas" to it's appearance. 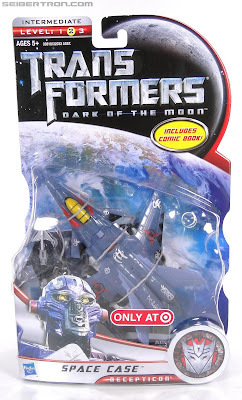 This figure comes with a dark version of Optimus Prime which are Tokyo Toy Exclusives. This figure is a rarity and has a high prize tag. When I saw this picture of Perceptor, I instantly remember the G1 days. Perceptor toy is one of the Autobots that I really want to have when I was little.This figure is very accurate with the cartoons. As the title implies, this is a Mechtech version, but this is not. Only the gun is Mechtech, this is from Ratchet figure. This is the second photo of Sir mickeyrdj for Photo of the Day. I'm very thankful that he let me use his photos here in my blog. 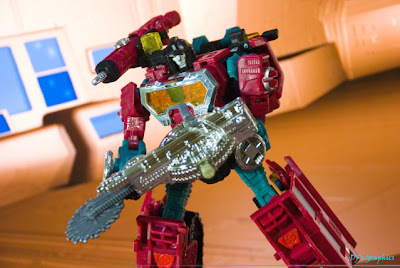 Short Description: Perceptor using a dark of the moon mechtech gun from ratchet. Chrome finish on perceptor matches with the gun. After a week of Marvel figures featured in Photo of the Day, I decided to do some Transformers this week. 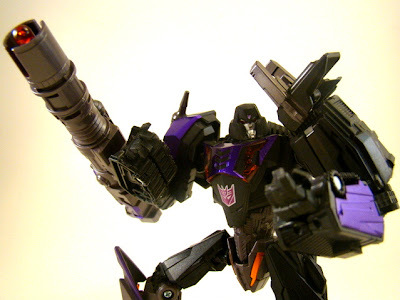 To start things up, here is a photo of Transformers 3 Shockwave. I recently watched Transformers 3 and became an instant fan of Shockwave. I already saw the movie figure of Shockwave and I really wanted to get one. 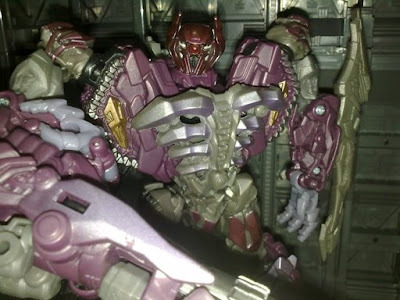 I searched reviews of Shockwave's figure at Cybertron Philippines and luckily found a review from Sir Zephon. When I saw this picture, I asked permission to post this image. For more pictures and complete review you can visit this link. Here is a preview of the next Happy Meal for US featuring The Smurfs Movie. Total of 16 figures to collect. Hope to see these here in the Philippines. I haven't watched Thor yet. :( But when I saw this photo I told myself that I have to watch this right away. Seeing Destroyer and Thor in a face off excites me to watch the movie. Short Description: This photo was used for a set of figure reviews I made. Gambit is my favorite X-men. 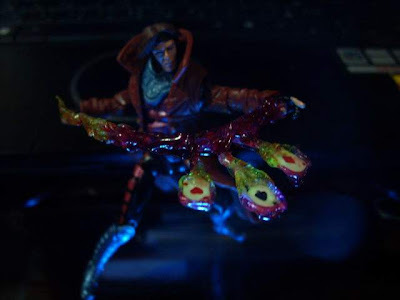 When I saw this image I thought this was a Marvel Select Gambit, surprisingly this is a 3.75" Gambit. Sir Amuro MkII made a custom charged card for this scale, which in my opinion works very well. This is my favorite shot from the gallery of Sir Amuro MkII. I like the pose of Gambit and the lighting which highlighted the cards making it more realistic that these cards are charged. photo of the day: green attack! What I like for this Photo of the Day is the cross-over of Marvel and DC characters. The green characters looks good together. After asking Sir ShawnDustin permission to post this photo here, I found out that these two figures are custom figures created by Sir ShawnDustin. Short Description: Nothing special. Just wanted to pair up my green Superheroes. Here is the latest Girls Happy Meal for McDonald's US featuring toys from Strawberry Shortcake. Here is the latest Boys Happy Meal for McDonald's US featuring toys from Star Wars Clone Wars. 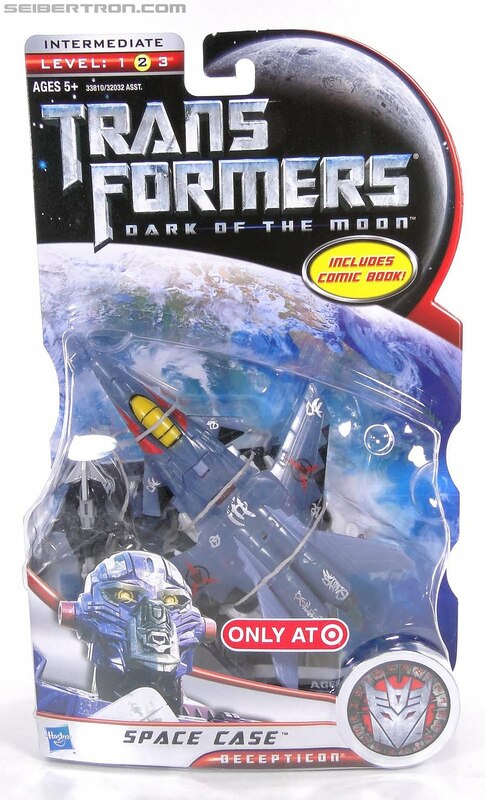 Here is a picture of Dark of the Moon Space Case. Basically, Space Case is a re-tooled and re-colored Terradive. I like the color scheme of Space Case better and also the new head sculpt. Unfortunately this is a Target exclusive making it a little difficult to acquire, especially for us here in the Philippines. Hopefully, Toys R' Us will bring this figure since some of the Target exclusives are available here. When I saw this photo, I immediately contacted Sir AlteredByJohn to ask permission to post this here in A Zoiders World. I like the pose of these three Marvel chtacters that seems they are enjoying themselves. And I also wanted to post something light for our Photo of the Day. 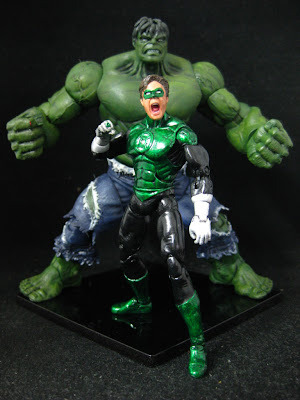 These Marvel Legends are really evolving in terms of details and gimmicks. The photo was taken to show the new swivel/hinge wrist joint of Doctor Strange. I also agree with Sir AlteredByJohn that they have to make a new Spiderman that have these joints. But another Spiderman for the Marvel Universe line? Short Description: This shot was initially taken to show the new swivel/hinge wrist joint of Doctor Strange from the Marvel Universe - S.H.I.E.L.D. Files - Wave 03. 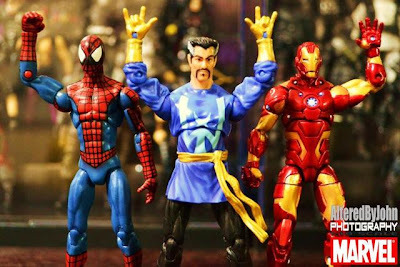 Spider-Man is also shown in the picture to point out that Hasbro should have included the same "rocker" / "web-shooting" hands that Doctor Strange have. As for Iron Man, he suddenly pops when I first saw the head sculpt of Doctor Strange, as I can use his head as Tony Starks. 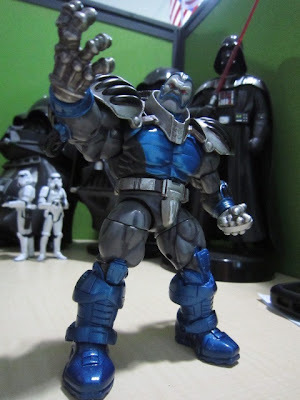 photo of the day: behold en sabah nur - apocalypse! I saw this picture of Apocalypse from PTK, and I was excited to post this here and share with my readers. Fortunately Sir chRd, allowed be to use this shot as my first ever post for my Photo of the Day series. Apocalypse is one of my favorite villains in the Marvel Universe. When it was released in the 3.75" scale I was eager to get this figure. But because of the demand and how this was sold in retail, I was not able get one. This figure will remain in my to-get list. I really like this photo because it shows the details of MU Apocalypse. I also like the pose, showing the power and supremacy of Apocalypse. Title: Behold En Sabah Nur - Apocalypse! Short Description: Apparently the first mutant born 5,00 years ago, Apocalypse has been one of the prime nemesis of the Xmen. Here are the new set of toys from Carl's Jr. Cool Kids Combo featuring toys from Poptropica. Shark Tooth Island Treasure Map - the tube include activity sheet and crayons. Spy Island Decoder - a mini decoder with backpack clip. Poptropica Tattoo Party - this toy comes with water transfer tattoo. 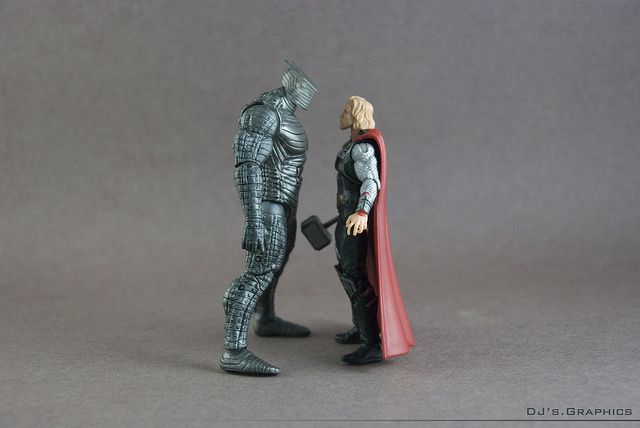 Every time I browse toy forums, I always find toy photos that are worth sharing. For the past few days, I'm contacting people who posted toy photos in different forums asking for their permission for me to post their pictures here in my blog. Starting next week, I will be posting Photo of the Day here in my blog to share to my readers great toy pictures from different collectors. 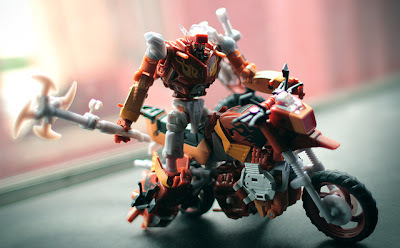 I'm also encouraging readers of my blog to send toy photos at azoidersworld@gmail.com so that we can share your collection to the online community. hmm kotobukiya command wolf lc & ac barad ver. Posting pics of HMM Command Wolf LC & AC Barad Ver. from Kotobukiya's Website. Here is the latest happy meal here in the Philippines.